Let’s admit it, it’s hard not to think of yourself when you’re doing your holiday shopping. Once you get in the mood it can be hard to stop! You might just find yourself putting a few things in the cart for yourself when you head over to Baba Souk. Stephanie’s collection of objects from Morocco and other places around the world are hard to resist. 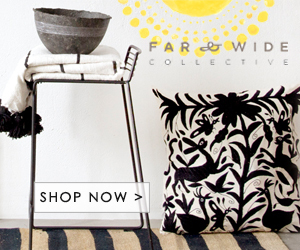 From irresistible, one-of-a-kind toys for the little ones to pillows, rugs and baskets from Morocco. And with all those holiday parties you’re giving, your place deserves to looks its best so it's okay to throw in a few Moroccan cushions for yourself.